Agents assigned to the Weslaco Stations arrested a Salvadoran national on Monday morning near the border town of Hidalgo, Texas. The agents transported the man to the station for processing and a biometric background investigation. 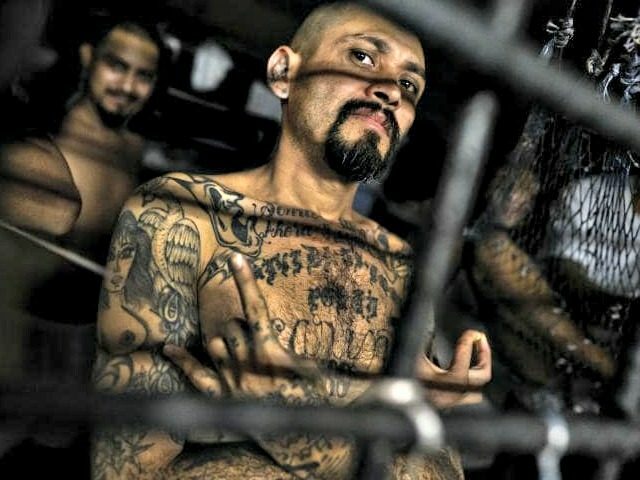 The investigation revealed records indicating the illegal immigrant is a member of MS-13, according to Rio Grande Valley Sector Border Patrol officials. Fort Brown Station agents patrolling near Brownsville, Texas, apprehended a Nicaraguan national after he illegally crossed the border from Mexico. Agents discovered the illegal immigrant is also a known MS-13 gang member, officials stated. In separate incidents on Saturday, McAllen Station agents arrested two Salvadoran nationals. Officials reported that records connected one of the illegal immigrants to MS-13 while the other is reported to be a member of the violent 18th Street gang. Both were arrested near McAllen, Texas. On Thursday, agents assigned to the McAllen and Falfurrias Stations apprehended two members of the 18th Street gang in separate incidents. Falfurrias Station agents arrested a Salvadoran national near the town of Falfurrias. The agent arrested the illegal immigrant and took him to Falfurrias for processing. The background investigation revealed the Salvadoran man is a member of the 18th Street gang. Later on Thursday, McAllen station agents came upon a migrant traveling with his wife and two children near Mission, Texas. A records check revealed the man as a member of the 18th Street gang. One day earlier, Falfurrias Station agents arrested another Salvadoran near the town of Encino (about 75 miles from the U.S.-Mexico Border). Encino is known as an area where human smugglers drop of their cargo to march through the ranches around the Falfurrias Border Patrol Checkpoint located on U.S. Highway 281. A biometric background investigation uncovered information indicating the man is an MS-13 member. Weslaco Station agents arrested another MS-13 member later that day near Donna, Texas. Officials said this illegal immigrant also came to the U.S. from El Salvador. Rio Grande Valley Sector agents arrested nine more gang members on Tuesday. McAllen Station agents arrested four Salvadoran nationals they later identified as MS-13 members in separate incidents. Later that day, agents arrested a Salvadoran woman traveling with a minor child. Her records indicated she has previously been arrested for assault. The records also confirmed her membership in MS-13. McAllen Station agents arrested a Salvadoran and a Guatemalan near Mission and La Joya, Texas. Records confirmed both as members of the 18th Street gang. Falfurrias Station agents arrested another Salvadoran MS-13 member near the town of Viboras, Texas, while Kingsville agents added to the count by arresting another MS-13 member near the Sarita Checkpoint on U.S. Highway 77 between Brownsville and Kingsville, Texas. The Salvadoran arrested near the Sarita Checkpoint was traveling with a group of four other illegal immigrants attempting to circumvent the checkpoint.